Many people ask us if chemical peels are safe. The answer to this question is, yes and no. It’s so important to have procedures done by professionals who are highly skilled and trained on all medical procedures. Peels are extremely safe when done in a safe environment and in skilled hands. We offer peels ranging from mild exfoliation to quite aggressive depending on client needs and advice from our medical esthetician. SkinMedica® offers a wide range of very effective peels. Used alone or in conjunction with other skin care procedures, your skin will be renewed level of health and vitality. Learn more about our three types of peels. Microdermabrasion is a minimally invasive procedure that rejuvenates the appearance of the skin by treating sun damage, scarring, wrinkles and other unwanted skin problems. This procedure uses a gentle stream of tiny particles to exfoliate the outer layer of skin, leaving fresh, younger-looking skin and a renewed appearance. Microdermabrasion may be combined with other procedures such as chemical peels or laser treatment. During the microdermabrasion procedure, your clinician will use a handheld device to transmit tiny crystal particles across the targeted area of aged or damaged skin to scrape away the surface layer. This skin is then suctioned away with a vacuum tool so that the fresh, healthy underlying skin remains. This procedure is performed in the office and does not require any anesthesia to be used. There is no downtime associated with this procedure, and patients can return to work or other regular activities immediately after. You may experience mild redness for about an hour after the procedure, but this usually goes away on its own. Most patients can achieve noticeable results after a series of five to ten treatment sessions spaced one to two weeks apart. The microdermabrasion procedure offers patients effective results that are visible immediately. Patients can benefit from a reduced or eliminated appearance of acne scarring, hyper pigmentation, as well as improved skin texture and reduced pore size. 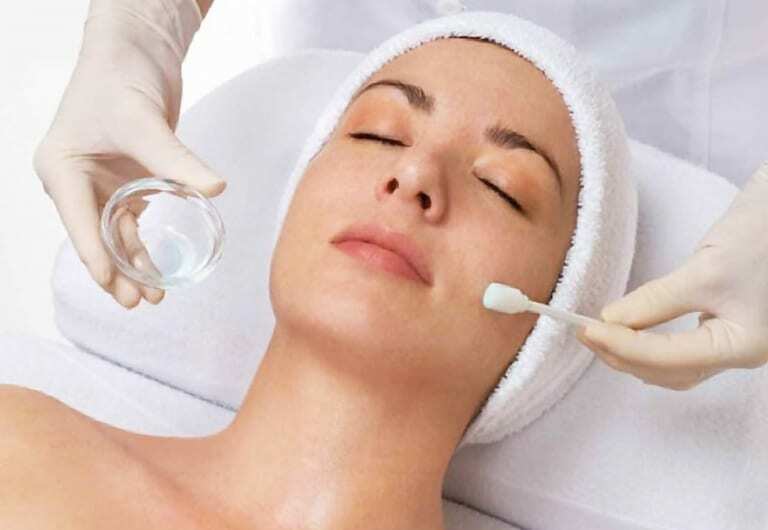 In addition to its cosmetic results, microdermabrasion also helps enhance circulation and lymph flow, allowing skin to be healthy on the inside and outside. Your esthetician will recommend additional treatment sessions or other treatment options for you after a thorough evaluation of your skin.